For brands and marketers, it’s now more important than ever to develop a robust visual content strategy that works across all social media channels. 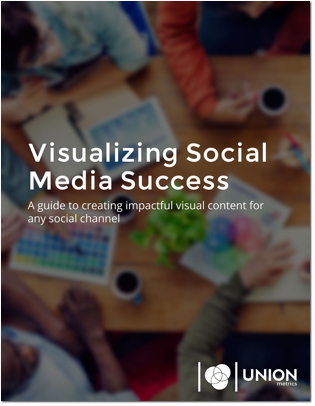 In this ebook Union Metrics discusses best practices and tips for creating the most impactful visual content for any social media channel. The ebook also answers questions such as how to use images or animated GIFs or videos, the technical specifications to create the most suitable visual for a particular channel, which formats shine where, and much more. Union Metrics' sophisticated social media analytics products help the world's most innovative marketers measure and improve their strategies across Twitter, Instagram and Tumblr. Related resources: Ebook, Featured, Featured, Featured, Featured Home, Social Media, White Papers.